A Next Great Act of Resistance! 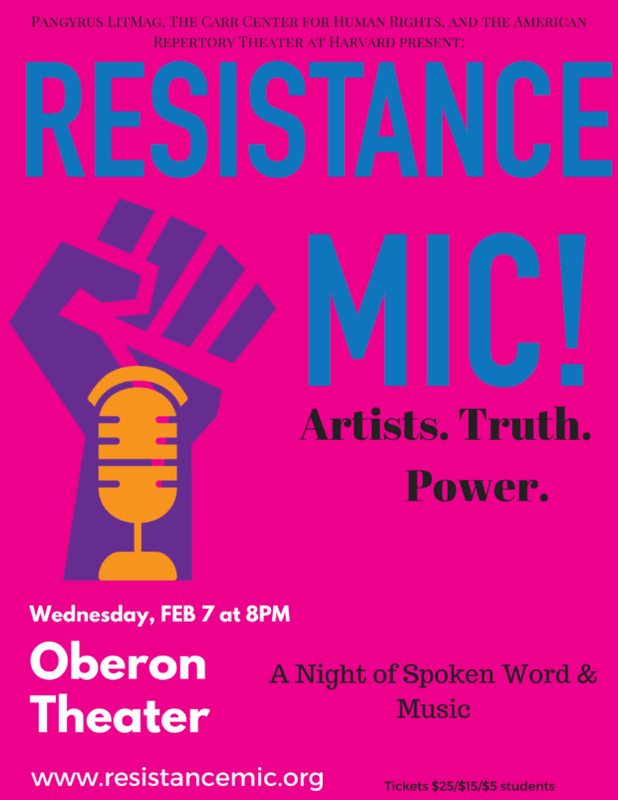 The American Repertory Theater at Harvard and Pangyrus LitMag are producing a series of powerful, intimate performances at the Oberon Theater over the coming year, with a theme of ‘resistance’ in its many guises. Shows are February 7, March 7, April 4, and May 16. Each of the evenings will feature poets, musicians, writers, artists and activists telling stories and presenting works that are politically engaged, well-crafted efforts to convey lasting truth. A typical performance will consist of 10 minutes of material, spoken, read, or sung.